Today i'm going to talk about food. Yesterday was my bday, so i thought that the day deserved a different meal. 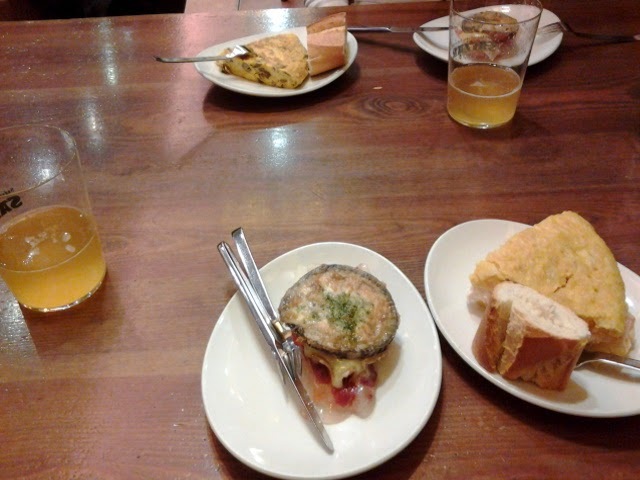 I decided to taste pintxos! 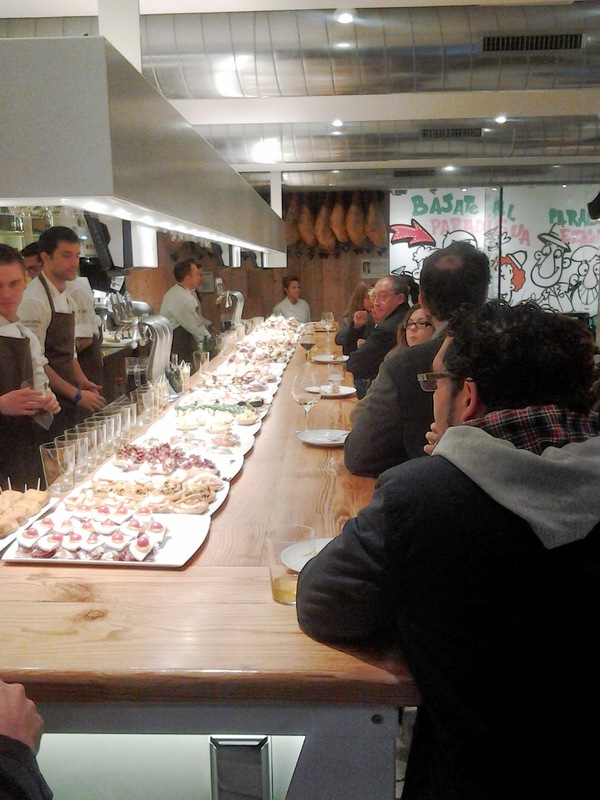 Pintxos, typical basque food are consumed in bars or taverns and have a certain similarity with traditional spanish tapas. The main difference is that pintxos have a toothpick that is used to keep ingredients from falling off the bread, as well as to keep track of the number of items that the customer has eaten. They put them in the bancony of the taver and we only have to pick up and eat. Can be hot or cold portions and the drink (usually Cider) is included in the price. There is an endless variety of flavors and types, from the simplest to the most elaborate, the cheapest to the most expensive. Can incorporate any food, but the most common feature is cod, mushrooms, anchovies, peppers and tortilla.